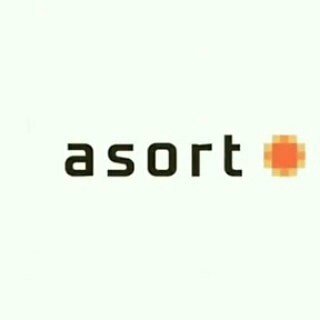 Asort proudly launches it’s first-ever Experience Centre in Gurugram. In order to create trends for the fashion conscious youth, the Experience Centre gives some of the best fashionable experiences. From the basic idea of creating the designs to the final product, the EC provides a full fledged view of the back end story of every fashion product created by them. The EC is not a retail store but a platform for design curious generation who believes in knowing the product in & out. With an end goal of providing even the small details of a particular brand or collection, one gets a chance to meet the design & trend creators for better understanding of every fashion product. Asort’s Experience Centre showcases 6 labels: A.B.G, Earthy Scent, Mr.Huffman, Ifazone, Kuefit & Solasta. Each brand is known for fast and affordable fashion with over 200+ new products being launched every week. They cover all needs of fashion conscious youth by offering products of different categories. Each brand is different from another and never leaves a single stone unturned to make India more fashionable. Where ABG truly stands for its name ‘Another Bad Generation’ and caters street wear with a motive of making street-wear a mainstream in India’, Earthyscent promotes Indian crafts & textiles and transforms them into silhouettes and styles acceptable to the modern Indian men & women. At one hand, Mr Huffman is a premium menswear brand known for its meticulously and elegantly crafted apparel to add an extra dimension to the men’s closet. And on another hand, Ifazone features the most sophisticated edition of soothing colors, affordability and quality garment that ensures greatest solace and sturdiness. The brand Kuefit is known for adding a dash of sporty spirit and athletic enchant clothing range alongside the maximum comfort. Last but not the least, Solasta is the brand that oozes solace, glamour and style with the right selection of footwear for fashionable men & women. All the latest collections of each brand are available at the EC for the ones who wishes to feel the right selection of fashion. All these brands deliver latest fashion to 14k+ pincodes. They cover a wide & diverse range of trendy styles for the digitally-savvy and fashion conscious customers. As an animal loving company, all these brands ensure of not using animal skin (not even for a trim) and provide no-leather products in order to keep our environment clean & safe! In the world where everyone is running after following the trends, Asort’s Experience Centre is the place creating the trends. If you love a good minimalist yet realistic look, you can witness the creation of latest trends and satisfy your curiosity of knowing each trend deeply!